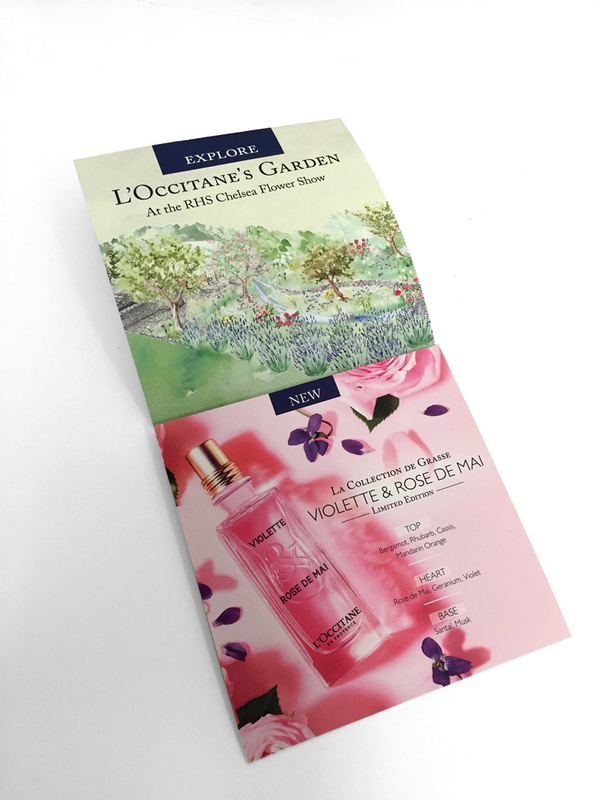 Marketing collateral to support the 2016 L'Occitane Garden at the RHS Chelsea Flower Show. I commissioned photographer Matthew Shave and worked on the concept & art direction for the photoshoot, for the UK exclusive L'Occitane fragrance Violette & Rose de Mai; this image was used across DM, in-store and online in the run up to and throughout the Chelsea campaign. In-store and window treatment for the campaign; I worked very closely with the Visual Merchandising and Marketing teams to create the campaign for all UK & ROI L'Occitane stores. 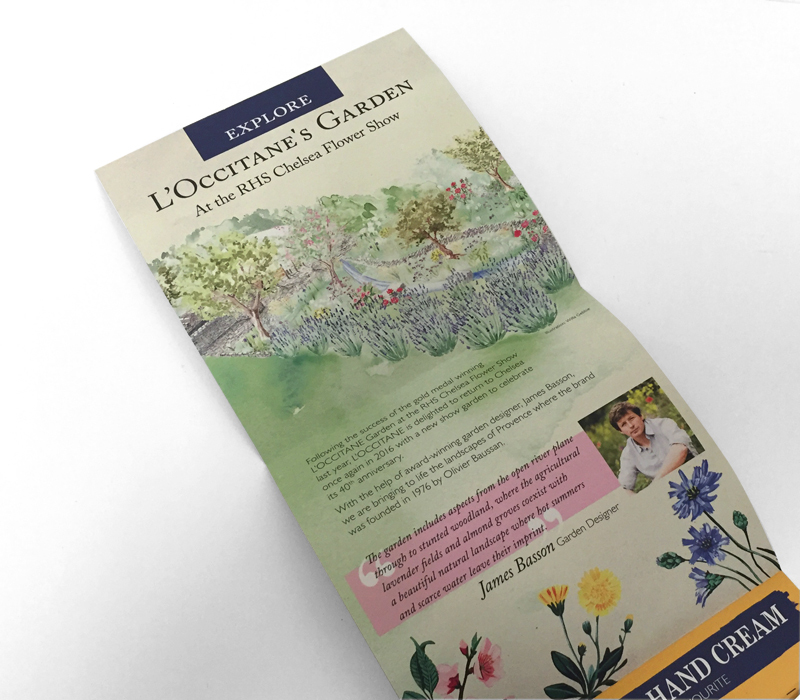 This brochure was handed out to every visitor to the 2016 L'Occitane garden; this included a commissioned illustration of the garden by Willa Gebbie. 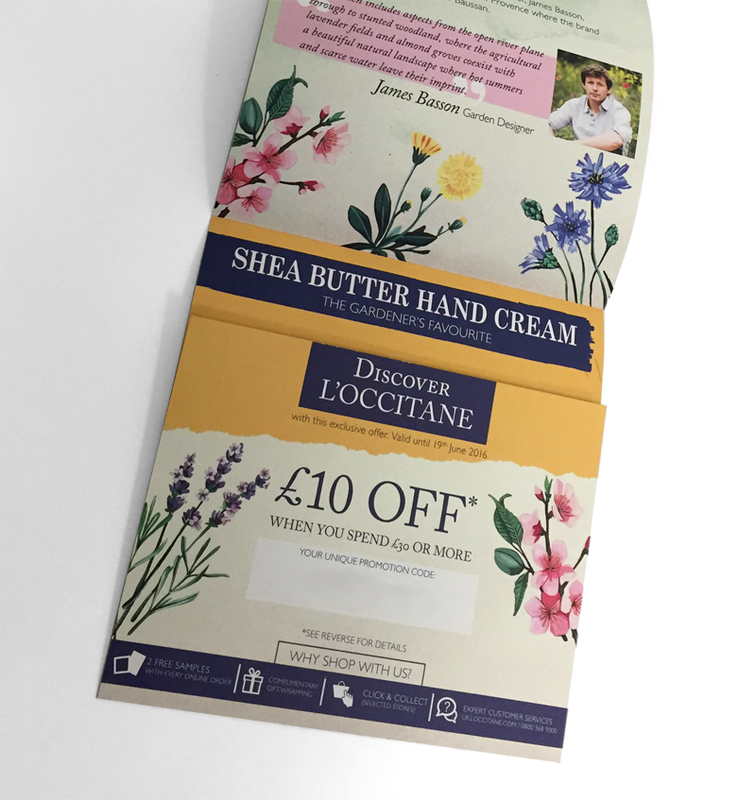 The double sided fold-out brochure that I designed also included a hand cream sample as well as a map of the location of the garden.